Monday UPDATE UPDATE: No change in the rankings with the reveal of Monday's actuals, though Frozen was down a mil. Sunday UPDATE: Move over James Cameron, you've got company. Becoming the first film since Avatar to win the box office in its sixth weekend of wide release, Frozen took the title over an unfrightening Paranormal Activity spinoff. Scaring up the worst debut in the five-film – soon to be six-film – PA franchise, The Marked Ones has already proven quite profitable for Paramount given its itsy-bitsy $5M budget. The rest of the box office was diffused as expected with adults evenly split on two Oscar-wannabes: American Hustle and The Wolf of Wall Street, with Ron Burgundy right behind. Oh, the horror of January. Flying in the face of conventional wisdom, the first month of the year has been fiscally fortuitous to all things spooky of late. Last year, we had two $20M+ horror debuts with Mama ($28.4M) and Texas Chainsaw 3D ($21.7M), and 2012 saw The Devil Inside open at a demonically-big $33.7M. 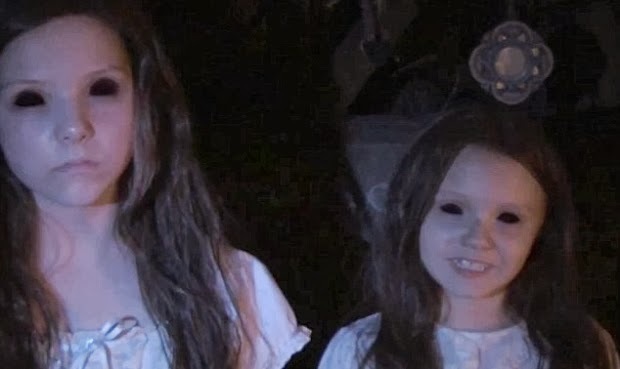 With that in mind, the genesis of the found-footage phenomenon, Paranormal Activity, brings its fifth installment to theaters this weekend, marketing this one squarely to Hispanic auds, big buyers of the ghost genre. That said, betting on a slightly-bigger debut than the fourth PA ($29M), but far lower than the third ($52M). 1. Paranormal Activity: The Marked Ones $31.5M (↔) – Wouldn't be shocked to see it creep closer to $35M — or sink as low as $25M. 2. Frozen $18.5M – Remarkable surge in its fifth weekend, doing massive business ($500M+ worldwide) with its target demo: young girls. 3. The Hobbit: The Desolation of Smaug $16M – Three-week run as champ comes to an end, $600M+ and counting globally. 4. American Hustle $13M – A Golden Globe or two would only add to its already-impressive cred. 5. Anchorman 2: The Legend Continues $12.25M – Ron Burgundy and the boys will cross the $100M domestic mark today.